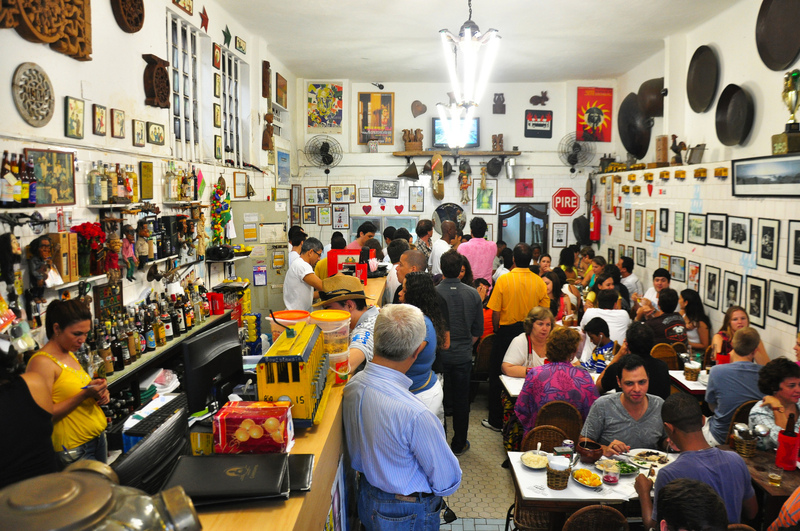 He adds, “Their feijoada, served on Fridays and Saturdays, is second to none.” Bar do Momo was also featured as one of the best bars in Rio’s often overlooked ‘Zona Norte’ (North Zone). Another pick from Le Mesurier is Bar do Mineiro up in the arty hilltop of Santa Teresa. 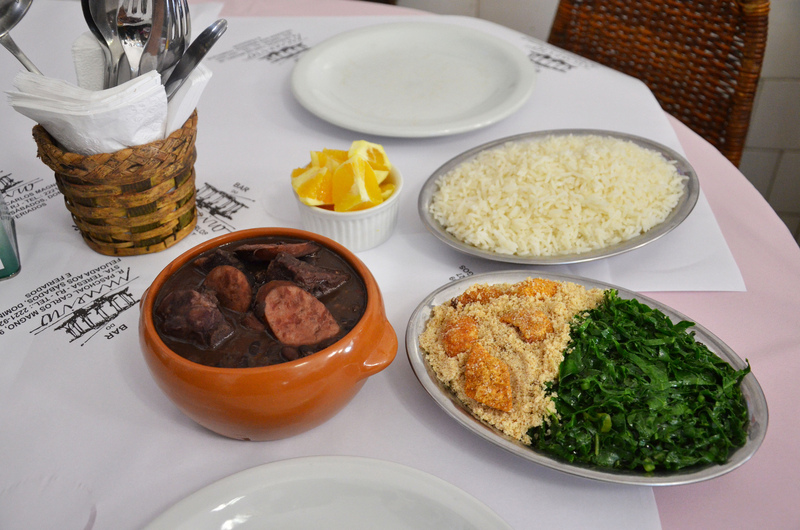 Bar do Mineiro is one of the few places that serves up feijoada every day, with portions for one person, two people, or three people available seven days a week. Here they serve the feijoada complete with the traditional sliced oranges. Though the price here is high, considering the portion size, locality and popularity, this is one of the best feijoadas in a bar that prides itself on both quality and ambiance. Due to the heaviness of the dish, it is often good to avoid drinking beer while eating feijoada. Many Brazilians instead choose to pair the dish with the classic caipirinha. Where better to sip a wonderfully authentic caipirinha paired with Brazil’s symbolic dish than the Academia da Cachaça, which is also famed for its feijoada? Their meal comes accompanied by a shot of honey cachaça. Over 100 years old, Botequim Do Jóia embodies the storied history of feijoada better than most, serving classic Brazilian dishes written up on a blackboard by the entrance, ice-cold beer, cachaça and a thick slice of atmosphere from old Rio. For one of the poshest feijoadas around, head to Pérgula inside the landmark Copacabana Palace. In keeping with tradition, the feijoada is served for Saturday lunchtime and, while it is among the most expensive in town, it does keep with the original ingredients and comes served with a spicy red pepper sauce. If the price of Pérgula (around R$120 per person) is enough to make you reconsider sampling this dish, then perhaps you could even try making your own feijoada.